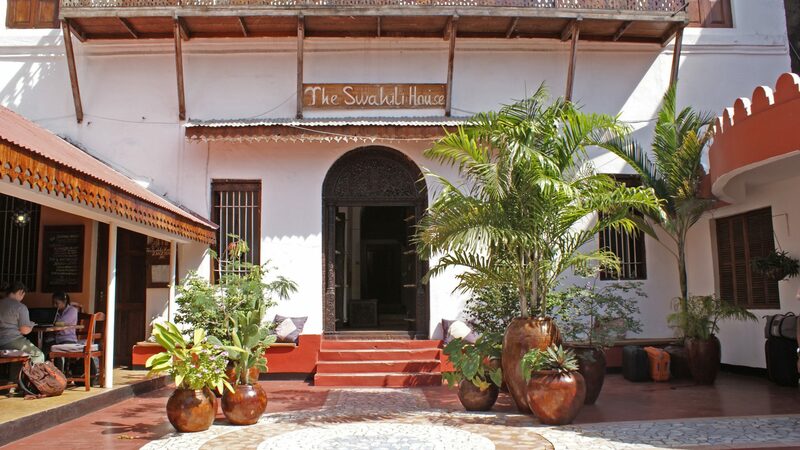 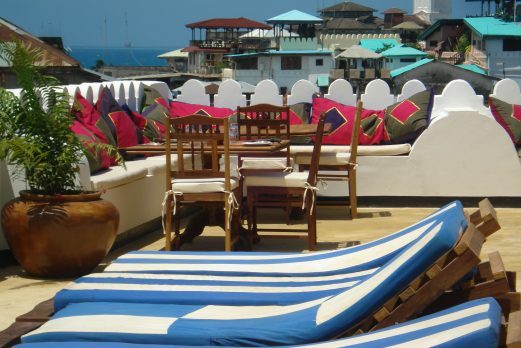 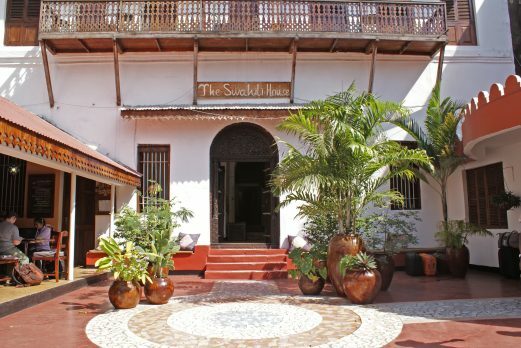 Located in the bustling heart of Stonetown, Swahili House has re-opened after a full renovation and is one of the best small boutique hotels in town. 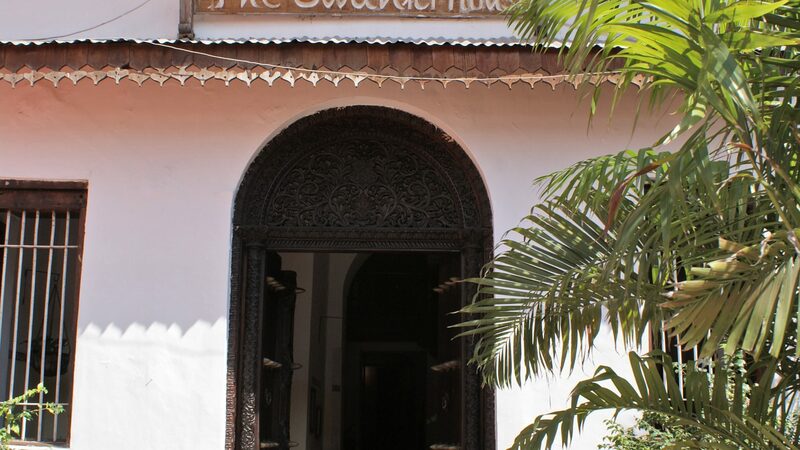 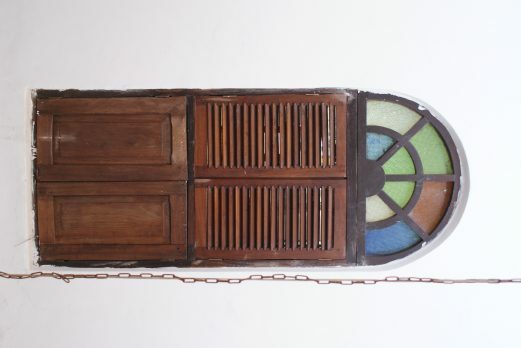 Located in the bustling heart of Stonetown this beautful building was originally set up and used as an Indian Merchant House in the 19th century before becoming a hotel some years later. 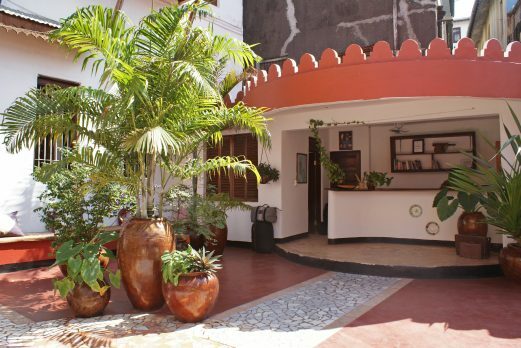 Renovations of the building started in May 2008 and most of the hotel has now been restored to its original state. 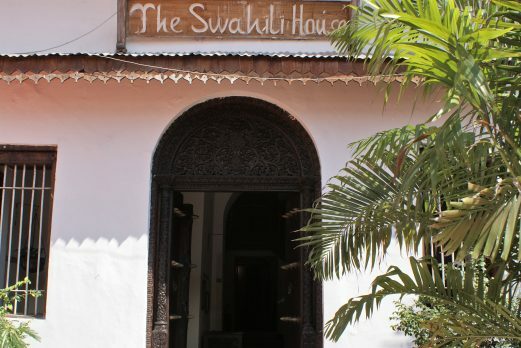 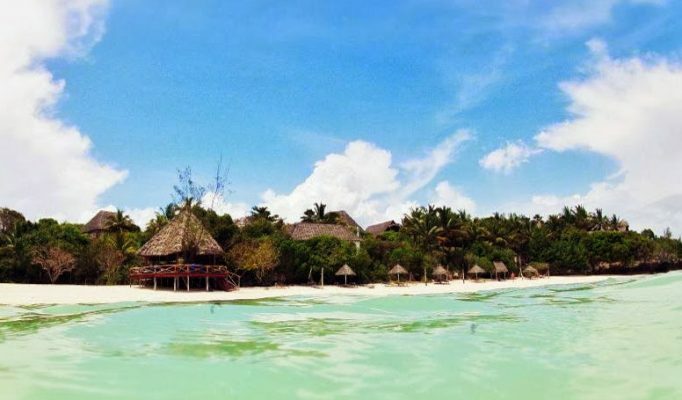 The result is the Swahili House – a lovely hotel with traditional influences and modern day facilities in combination with authentic Swahili hospitality. 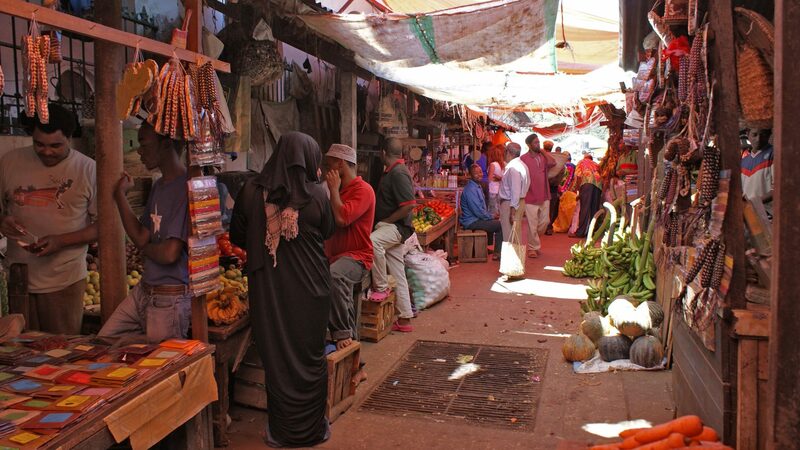 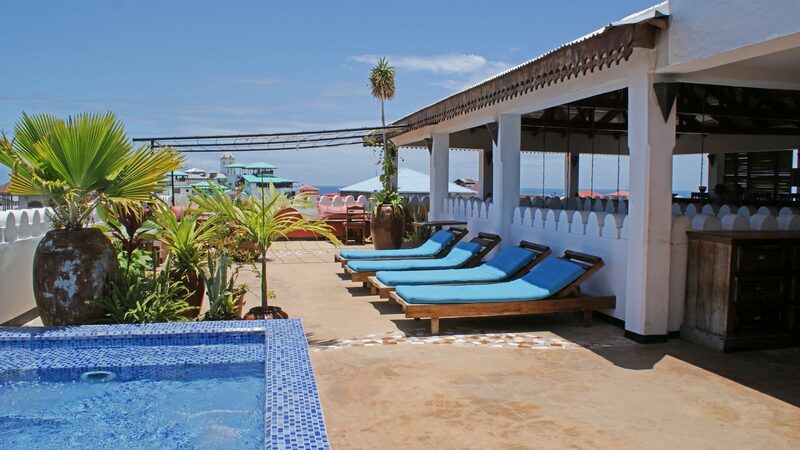 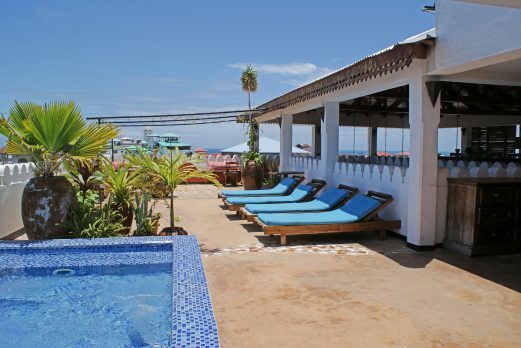 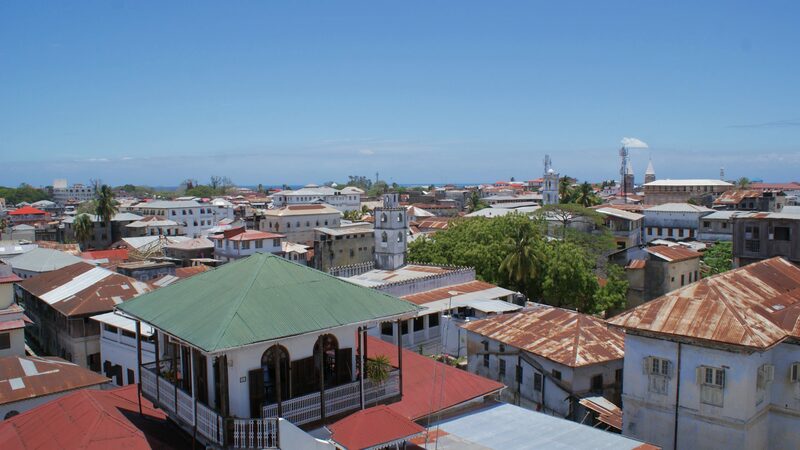 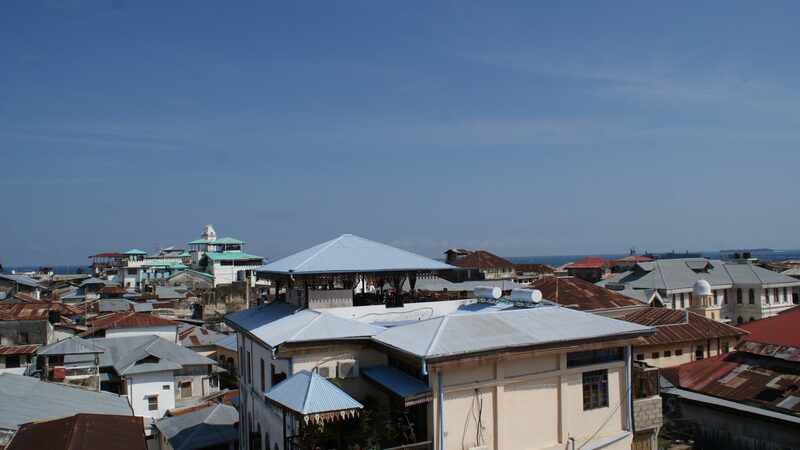 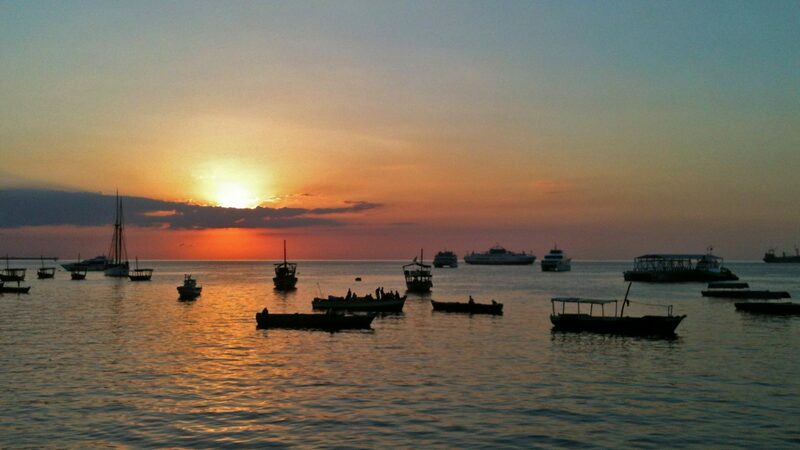 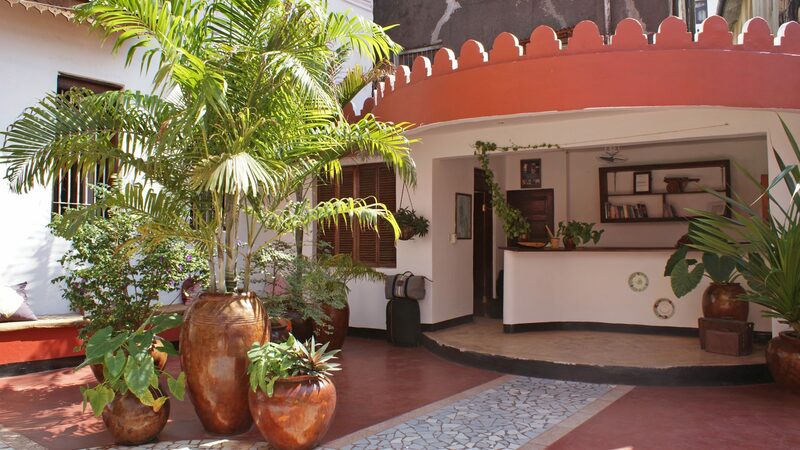 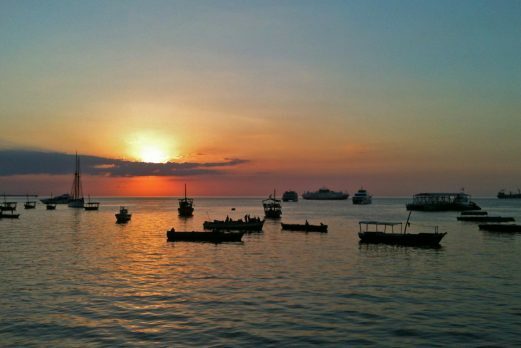 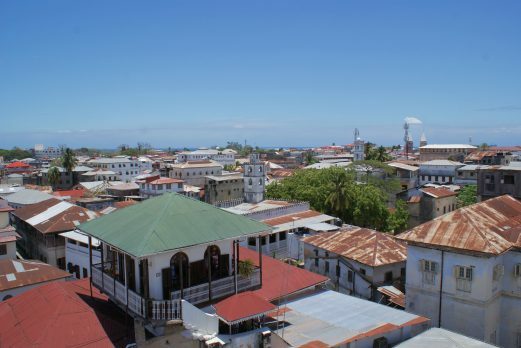 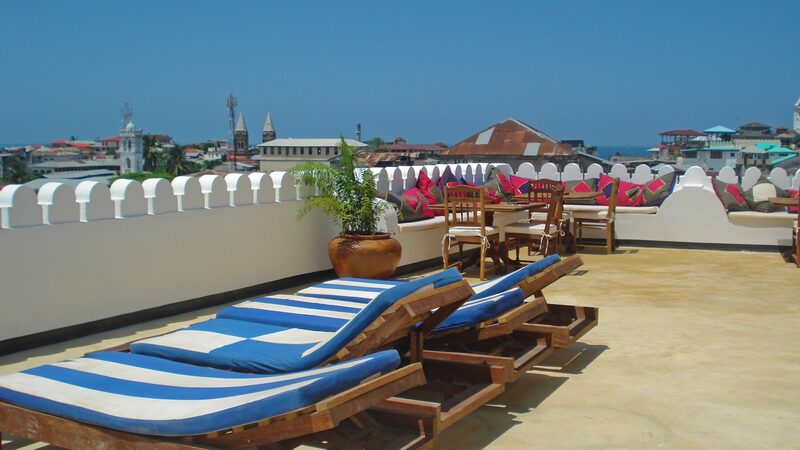 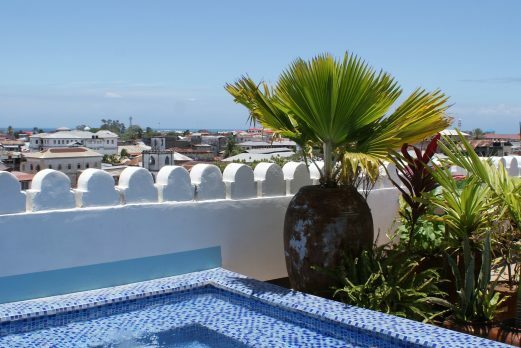 The hotel has 5 floors that are all built around a beautiful, traditional Zanzibar courtyard. 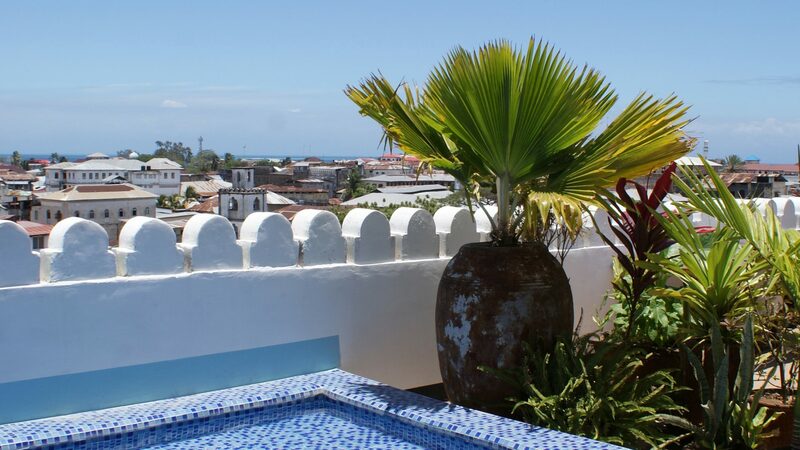 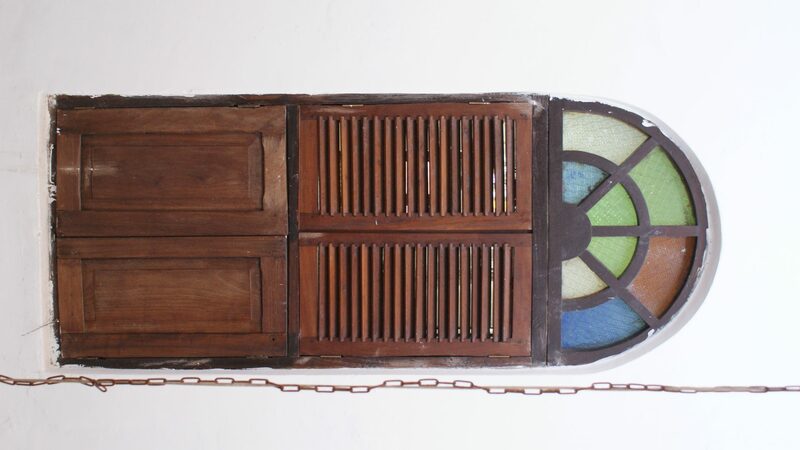 The floors are all reachable via traditional Zanzibari staircases and an elevator. 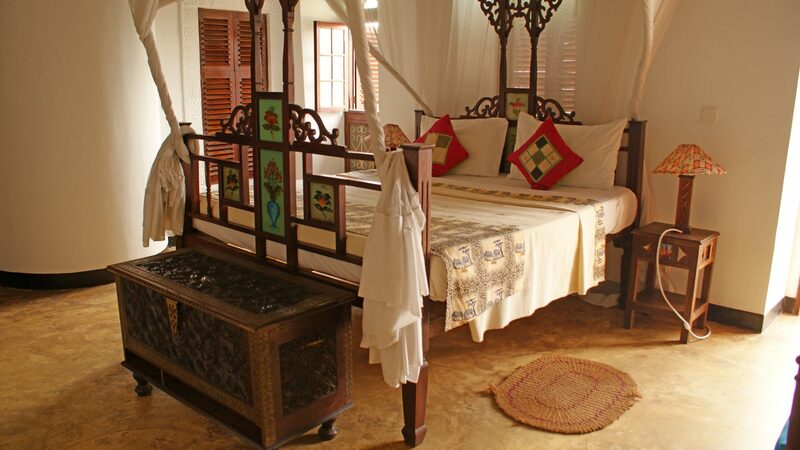 The 22 rooms are spread out over 4 floors and can be divided in 3 different room categories. 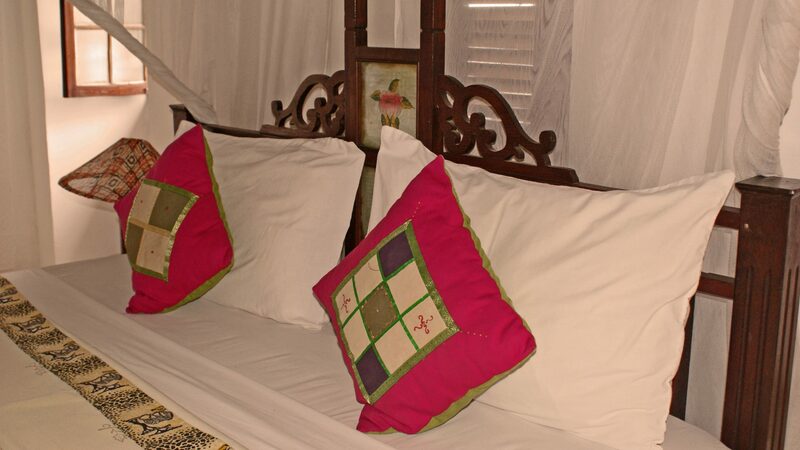 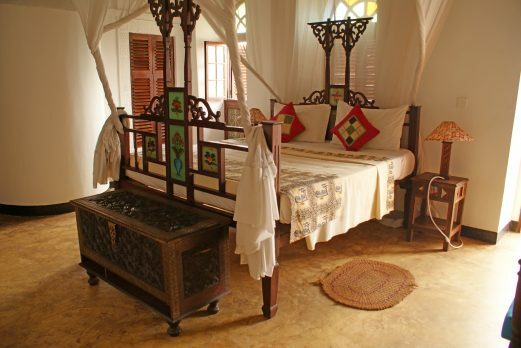 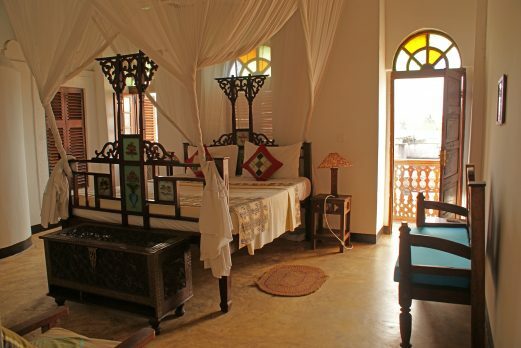 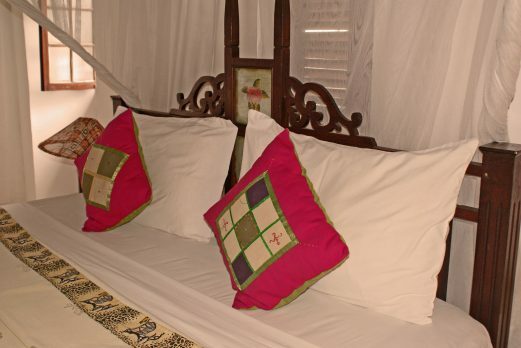 The rooms are all restored and decorated in traditional Swahili style, but adjusted to Western standards, which for example includes European sized mattresses, air conditioning and a fan. 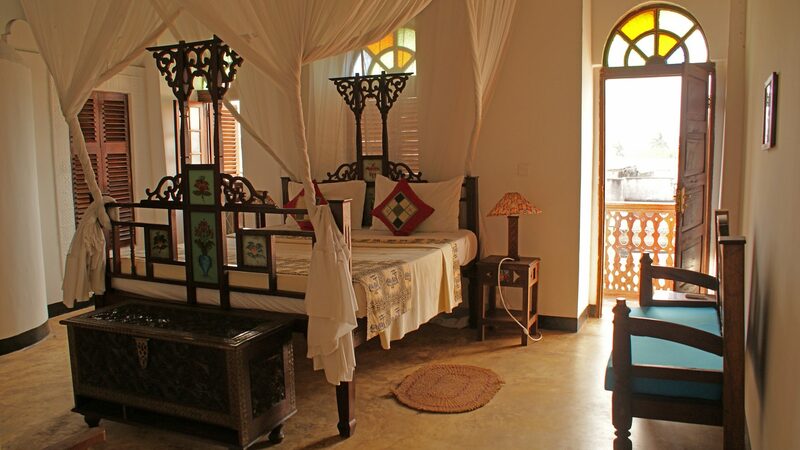 Most rooms feature a spectacular open bathroom including a shower and bath, which is ideal for relaxing after a busy day of exploring Stonetown. 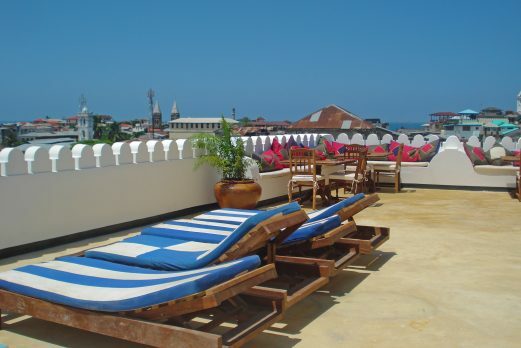 The Swahili House would definitely not be the same without the rooftop terrace. 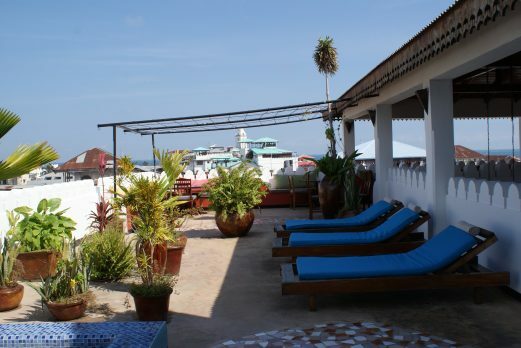 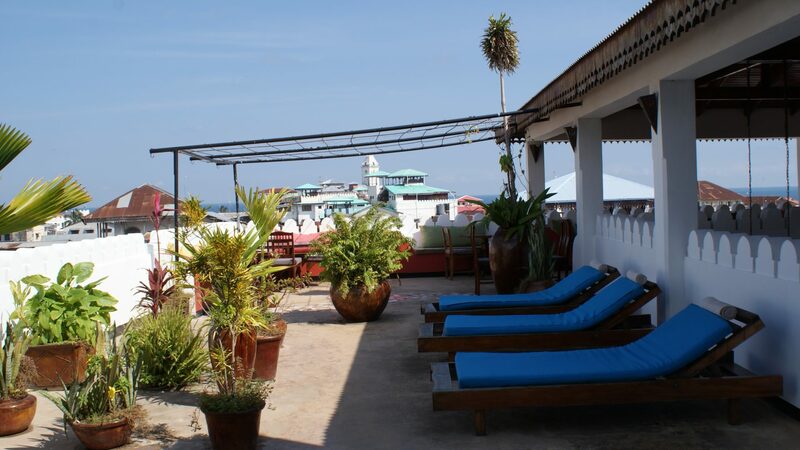 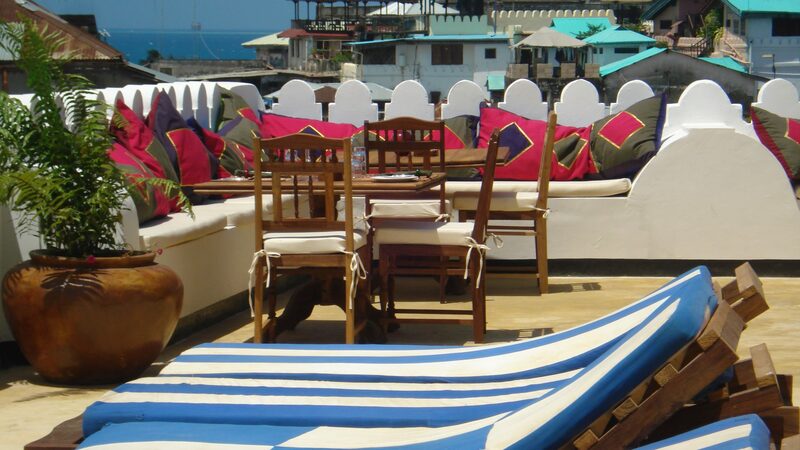 The rooftop terrace has a bar and restaurant overlooking the Indian Ocean. 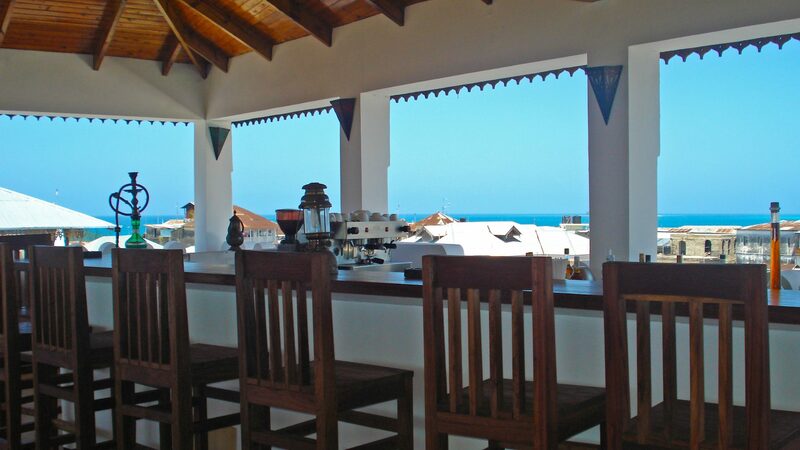 A continental and full English breakfast buffet is served from the rooftop kitchen every morning. 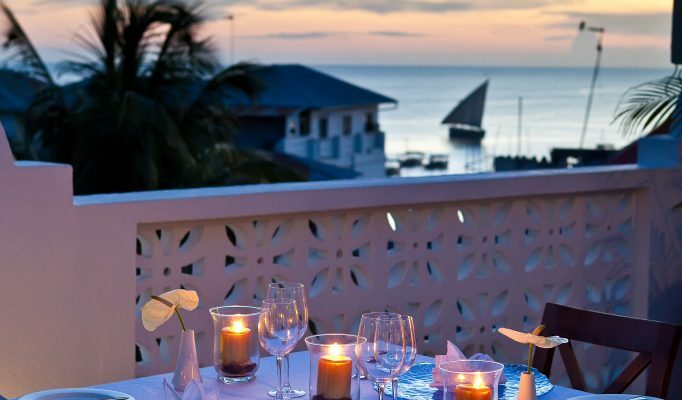 The lunch and dinner menus are a combination of Eastern and Western influences, spices and flavours, and includes a wide variety of freshly caught fish and seafood. 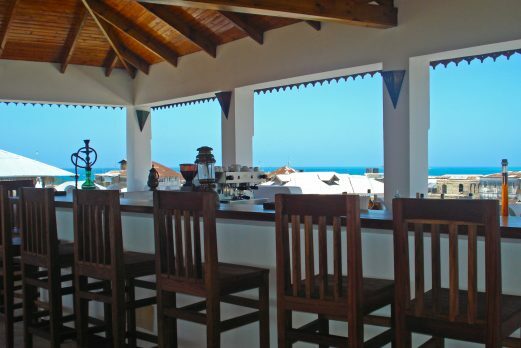 The bar is also a very cool place to enjoy an early evening drink, fabulous bar snacks and tapas, and watch the sun go down over the sea. 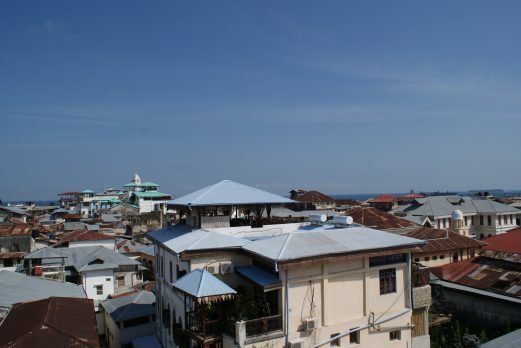 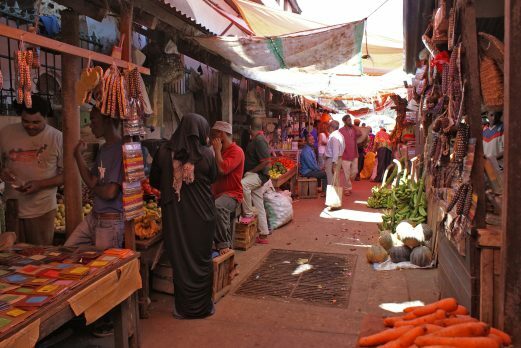 A really good Stone Town option.